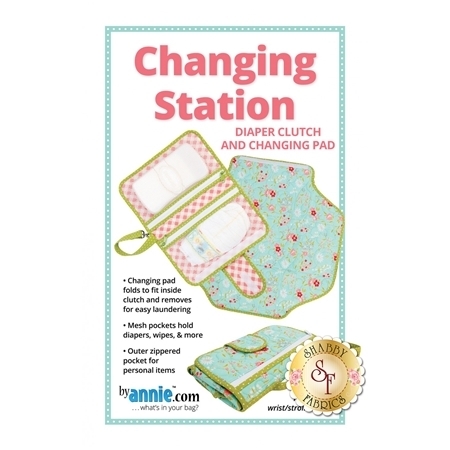 The Changing Station from ByAnnie is perfect for changing baby on the go. The attractive wallet-style clutch unfolds into a large, padded changing pad with plenty of pockets to store all the essentials. 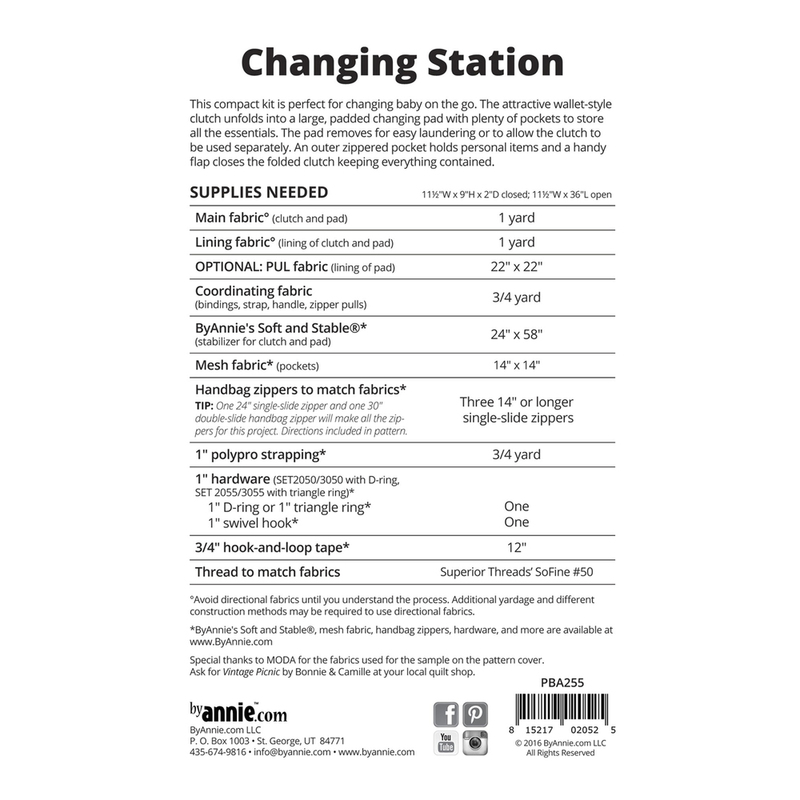 The extra-large baby changing pad is fully padded to provide comfort for your little one. The pad removes for easy laundering or to allow the clutch to be used separately. 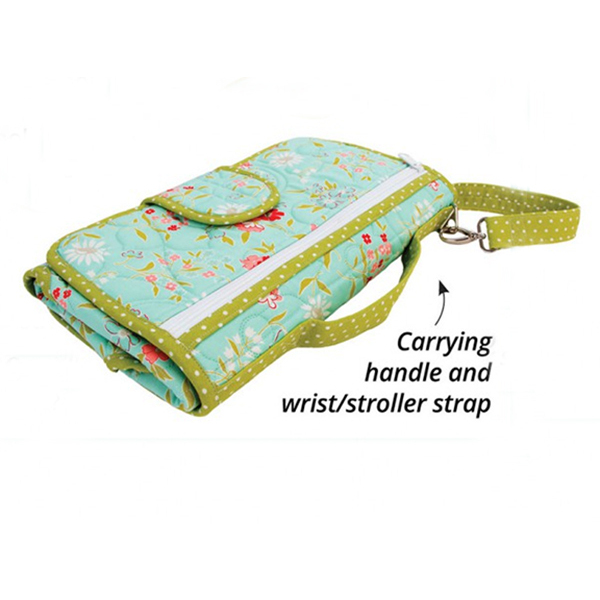 Drop it in any bag, strap it to your wrist, or clip it to your stroller and you're good to go! This pattern includes all instructions and diagrams need to make a diaper clutch and changing pad. Finishes at 11½”W x 9”H x 1½”D closed; 11½”W x 36”L open.